Considered as a mega-diverse country, the Philippines is home to over 52,177 described species—half of which can only be found in the country. 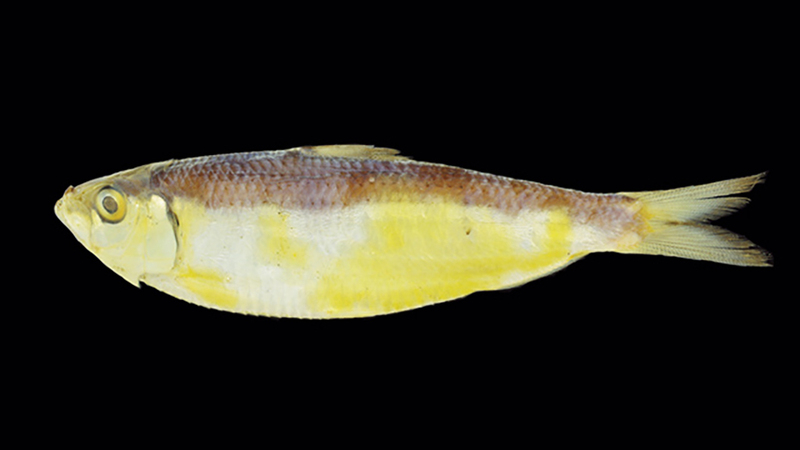 Adding to the list of species endemic to the Philippines is the newly discovered Sardinella pacifica, a new sardine species found in Manila Bay and in certain areas of Quezon, Sorsogon, and Samar. Found by Japanese taxonomists Harutaka Hata and Hiroyuki Motomura, the Sardinella pacifica was named in reference to the Pacific Ocean. According to the journal article they authored, it closely resembles the Sardinella fimbriata but has distinct characteristics not found in other sardine species. Though the Philippines has rich flora and fauna, it is still considered a biodiversity hotspot—meaning it's threatened with destruction. It's no secret that many of our endemic species are facing threats of extinction due to overexploitation, deforestation, land degradation, climate change, and pollution, among others. In January, the tawilis, a local freshwater sardine species was declared endangered, its rapidly declining population sparking concern among Filipinos. The discovery of the Sardinella pacifica prompted Gloria Estenzo Ramos, Vice President of Oceana Philippines, to raise the group's concerns about the reclamation projects in Manila Bay. "We appeal to President Rodrigo Duterte to stop all reclamation projects lined up in Manila Bay. This can be the legacy of your administration—that you were able to save the rich ecosystem of Manila Bay that carries national and natural heritage significance, especially with the discovery of this new sardine species in the Philippine waters," she was quoted in a News5 report. "Manila Bay is a spawning area of sardines, according to the Bureau of Fisheries and Aquatic Resources. Reclamation involves dumping and filling of seas, burying mangroves, seagrass beds, corals, and other fish habitats," Oceana Philippines added in a statement on their Facebook page.